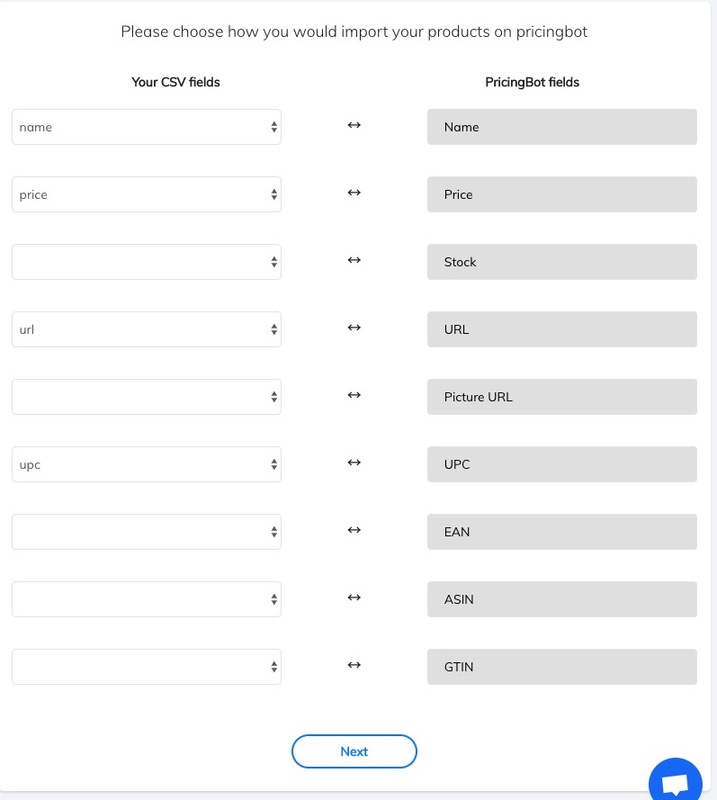 In this post we’re going to see how to configure your PricingBot account. The problem PricingBot solves is manual price monitoring. 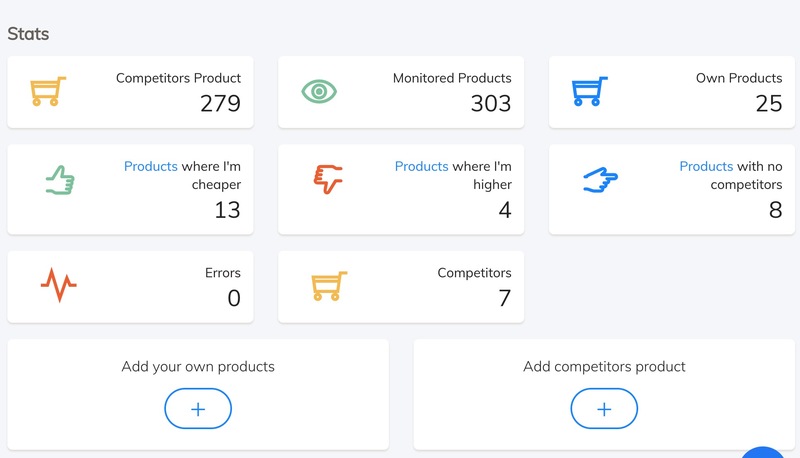 Instead of wasting time manually checking competitor’s prices, PricingBot helps eCommerce store automatically monitor their competitors. Importing your own products is the first step to set up your account. There are many ways to add your own product catalog, depending on the eCommerce plateform you use. You can either use one of our integrations, or a CSV upload. 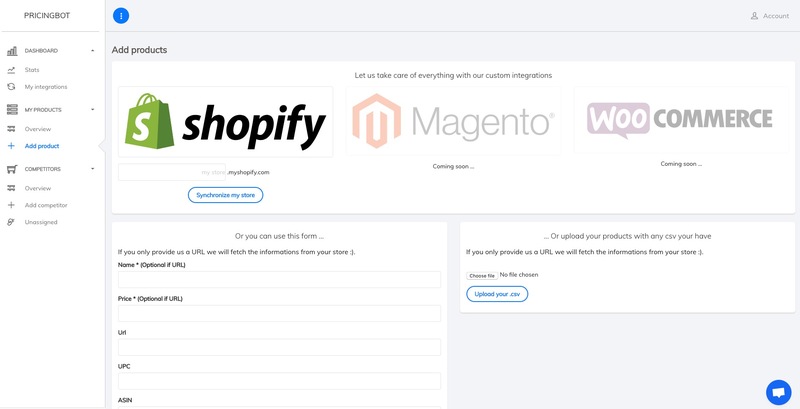 If you have a Shopify store you can use our one-click integration to import your catalog. Just fill the form with your shopify store URL. If you have tens of thousands of products, this step can take several minutes. The only mandatory field is your product URL, so that PricingBot crawlers can extract your product information from your store / marketplace. You can also use the form to import a single product. This is useful for marketplace sellers who have several products on different marketplaces. 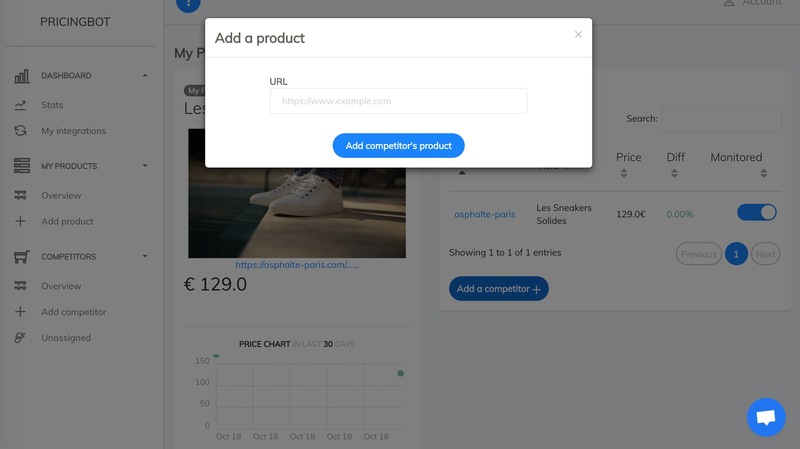 When you are on a product detail, you can easily add a competitor by clicking the “Add competitors” button, and filling the popup with your competitor product URL. 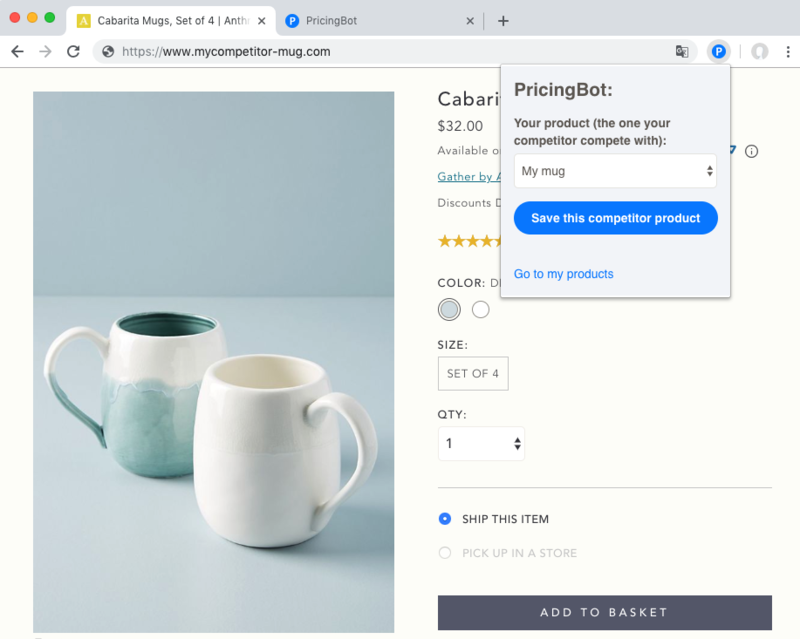 It is by far the easiest way to add competitor’s product in PricingBot. PricingBot extension is a small button you can install in your internet browser here. It is as easy as it can get, you just have to click on the install button. Select your product, the one your competitor compete with in the input, click on “Save this competitor product” and that’s it. This competitor’s product is now tracked and linked with your own product and you can of course see it in your pricingbot account. The browser extension is the perfect solution to continuously update your competitor’s product list while browsing on the web. You are now only one mouse-click away of never again forgetting what are your competitor’s product and informations. 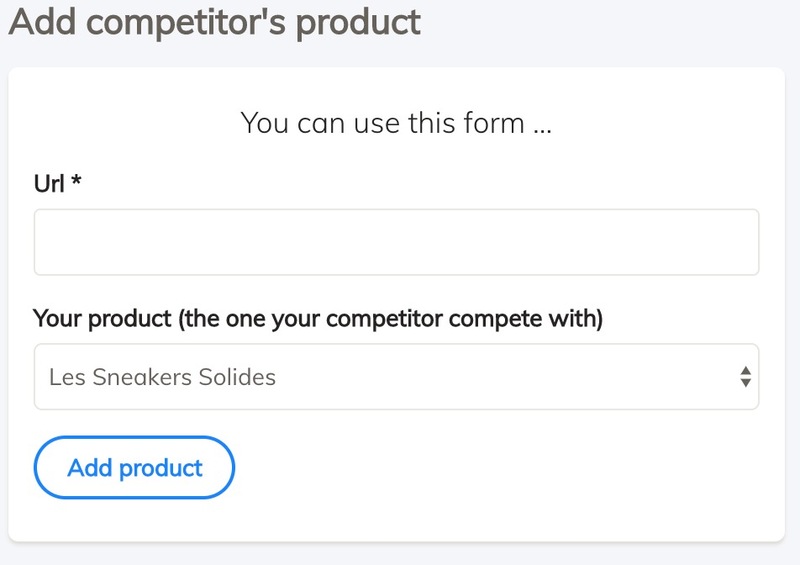 Then you need to fill the form by selecting the product your competitor is competing with, and fill your competitor product URL.